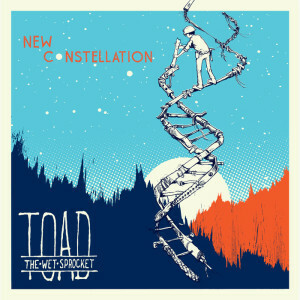 Lost in all of the hysteria over Cults releasing their sophomore album Static last Tuesday, was the fact that Toad The Wet Sprocket released their first studio album in sixteen years. Their latest release titled New Constellation, is the long-awaited follow-up to 1997′s Coil. The pride and joy of Santa Barbara, California are considered by many a deepster as a highly regarded guilty pleasure band. The alternative pop rock band has been touring periodically since 2006, but just recently proclaimed themselves as an active project.